I got the above gig by a woman out of the UK who also does photos of fortune cookies with custom messages and other cool stuff. You can check out what she offers here. There are a ton of link building gigs on Fiverr from sellers promising that they’ll help you with SEO. The gigs offer anything from a few links on high PageRank websites (high PR sites tend to have more authority in Google’s eyes) to 10,000+ links from who knows where. Link building is a very dangerous business these days and you really have to know what you’re doing. With all the changes Google’s been making lately, even top SEO professionals are struggling a bit with link building. 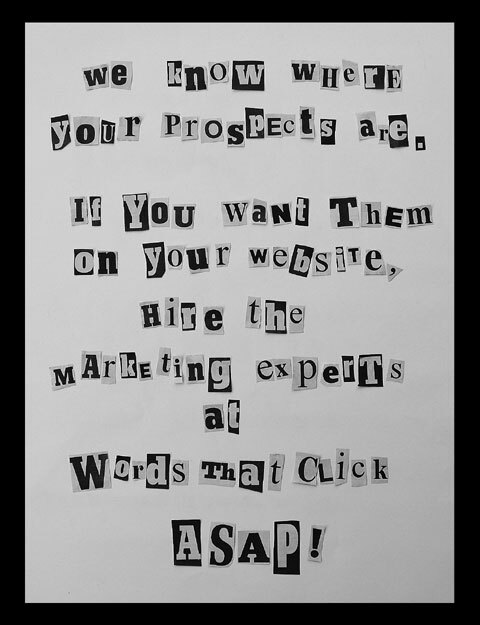 You get what you pay for and, on Fiverr, you’re playing Russian Roulette with your website if you hire someone there to do link building for you (even if they’re a highly rated seller). So don’t take a chance of getting your site banned from Google. Avoid the link building gigs on Fiverr because the $5 you spend could end up costing you a heck of a lot more than that. As we discussed the other day, you can have success with small graphics projects on Fiverr. But, when it comes to designing a whole web site, what do you really expect you’re going to get for $5? I’m not going to tell you that you absolutely, positively can’t get a halfway decent web design on Fiverr. But, the time and headaches involved in finding someone good are not worth it. Better to hire someone local or, at least go to an outsourcing site like oDesk or Guru.com where you can see more comprehensive ratings, reviews, etc. of designers before hiring them. Again, it’s possible to have a good experience here. The problem is that there are scam artists out on Fiverr. I would not take the chance of giving someone I don’t know access to my website. It’s not worth the risk. Here, I’m talking about gigs like “I’ll tweet your message out to my 5000 follower” or “I’ll get you 500 Likes on your FB page in 24 hours”. These are just scammy gigs and the quality of the people who see or Like your message is going to be very low. Hiring outsourcers on Fiverr is a mixed bag. There are some true gems out there and, if you find them, hang on to them and give them as much work as you can (either on Fiverr or off). But there are scam artists out there too. Luckily in ordering the $35 of gigs for this series of posts, I didn’t encounter any. Though I wasn’t thrilled with the results I got from my design gigs, at least everyone delivered as promised. But not everyone’s so lucky and I know there are a number of people who are very disappointed in how poorly Fiverr has handled their cases when they got scammed. But all in all, so long as you avoid the types of gigs listed above, the worst you can lose on any one gig is $5 so your downside is pretty low. And, by far, the best gigs I got on Fiverr are the fun, creative videos and the ransom note that I shared throughout the posts in this series. They’re probably not going to get me any business, but the laughs and entertainment value I got out of them were certainly worth the $5 each. And on that note, I leave you with two last gigs. This last video is the zaniest thing I think I’ve ever seen. I’m laughing right now, but I’m not even sure if that’s what I should be doing! Anyway, you have a great blog here. Thanks for the entertainment. Oh, LOVE those enterprising women in the last vid. Excellent.